Necklaces . Rings . Bracelets . Bangles . Beads . Earrings . Buying . Contact . About Us . We offer a bespoke service, please feel you can contact us to discuss ideas and details. 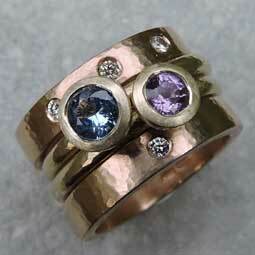 We have been working together,as Silver and Stone, designing and making silver and gold jewellery, for 23 years. 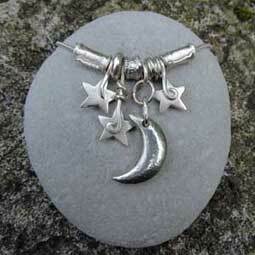 We aim to continually develop and expand our ranges of handmade jewellery. You can choose your wedding rings from the gold and silver ring ranges from the handmade ring section of this site. To check your ring size, email or phone, for a free ring sizer. We use simple tools and techniques that go back to ancient times, to create handmade jewellery that could have been found on archeological digs. We use many different stones in our engagement rings.But if you do not see what you want, you can e-mail us and we will do our best to source the stone of your choice.